How can a person handle this heat? Re: How can a person handle this heat? Ours has been bouncing around this past week staying mainly below 100 most of the time. Doesn't look at tho that will be this case this coming week. mine looks to be plain frigid compared to yours. Looks like we are pretty much just trading for the week. 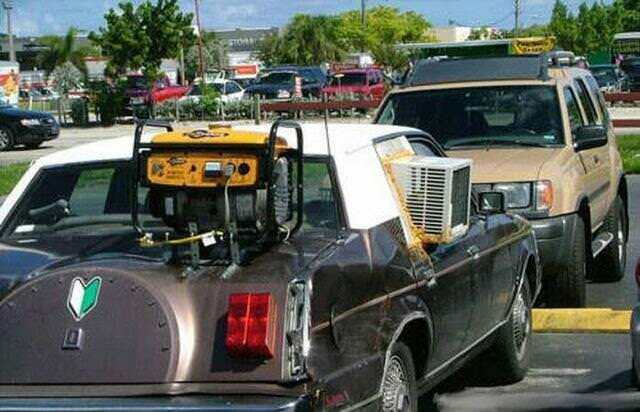 I believe if I had money for a window unit and a generator plus gas, I’d save a little bit more and upgrade cars! slick4591 wrote: Unfortunately our mid to upper 90's is leaving us for a few days. We are supposedly having an unprecedented cold front next week. Highs between 88-92. I’m gonna have to find my jacket. Ouch. They got us at 102 for Saturday and Sunday. I’m probably going to regret not cutting hay yesterday just because it only hit 98 for a short time yesterday. I cut Friday and plan to bale it tomorrow so Tuesday before I cut again. If I start early maybe I can get it cut before it gets to hot but that puts me baling in 100 degree temps. I do NOT envy you!!!! I know the hay people here don't want any rain since they're cutting too but that 10 day forecast without any chance is not good for me. How can a person handle the heat? It's real #$_-+ simple... they mail out bills regardless of the weather. Put ice in your hat while working outside doing work, letting ice melt down and keeping your head cool, preventing heat stroke. Keep a LARGE ice chest around of ice water, pouring ice cold water over you when over heating. Drink plenty of fluids, take breaks when necassary. It's doable, I prefer the winter but I am having to fence new unused pastures now because of the drought. Usually no snakes, scorpions and mosquitoes, except during an 80 degree Texas winter. Hope the AC doesn't break Slick. True Grit Farms wrote: Hope the AC doesn't break Slick. Me too! Our revised forecast.